Caregiving is a tough role and there are pitfalls that we often don’t learn about until we start struggling. To help you minimize potential problems, Caring.com shares expert tips on how to avoid 5 top caregiving challenges that cause extra stress. Find out how to solve common issues like lack of sleep, “lone-soldier” syndrome, overwhelming care tasks, and more. Everyone in a caregiving family needs privacy – the freedom to exist in their own space. If boundary-intruding becomes overwhelming, talk to the doctor about making sure medications (like antianxiety drugs) or alcohol use aren’t contributing to the problem. If aggression is the problem and it can’t be managed with behavior modification or medication, realize this can be a deal-breaker for home care. Everyone in the house – including you – must be safe. In reality, it takes a whole army to manage caregiving effectively. Failing to have emotional outlets where you can vent and “be yourself,” and failing to let others share the practical burdens, results in a surefire recipe for falling down – or giving up. Join a caregiver support group. “I push families to join a support group,” says Caring.com’s Ken Robbins. “It’s really hard just to talk to friends. They get tired of listening to you or have little to offer besides a pat on the back.” Groups offer a level of emotional support and group-think problem solving and idea sharing that’s different from what a mental health counselor provides in one-on-one sessions. To find a group, ask your doctor or your local Area Agency on Aging, or try an online group. Learn as much as you can about your loved one’s condition(s) and how it/they typically progress. Caregivers are sometimes reluctant to “read too far ahead” for fear they can’t relate to later disease stages. They’re also prey to fear of “jinxing” – worrying that if they think about something, it might come true. Diseases are realities, not wishes. Ask your loved one’s doctor to be candid about the prognosis and course of the disease, read info online, ask others who’ve been there. Make sure you’re not trying to solve the problem alone. 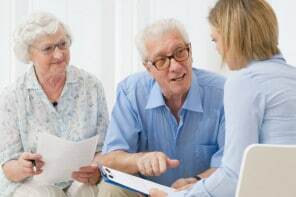 Brainstorm possible solutions with other family members, a social worker or geriatric care manager, doctors, and friends – including virtual ones – who may have experienced similar issues. If you’ve explored every option and things still aren’t working, ask yourself if you’re resisting out-of-home placement because of guilt. “Step back,” Robbins says. 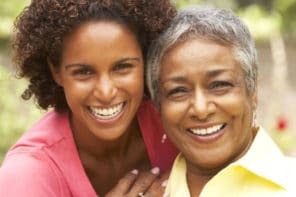 “If a problem is dangerous to either one of you, ask yourself why you’re being so persistent about not making a change.” He often finds that when caregivers are no longer frustrated and angry with their loved ones all the time, they’re better able to spend emotional energy enjoying one another again.